Ever since the grunts and groans of our ancient ancestors evolved into speech, those individuals who could best use this new tool of communication have led and shaped the lives of their fellows. How are you at standing up before a group and putting your thoughts into words? 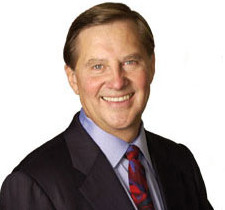 Well, I have for you 16 tips on how to become an effective speaker as published by the Christopher's, and they are excellent. Keep in mind at the outset that whether your audience consists of one or two persons, a dozen, or a thousand, you'll more readily win both their hearts and heads if the chief objective of your conversation, talk, or speech is to enrich their lives rather than merely further your own interest. One, get beyond your own self-interest. "If," as Thomas Carlyle said 100 years ago, "you care not for the reward of your speaking but simply and with undivided mind for the truth of your speaking, you're bound to enrich the lives of countless other people and your own as well." Two, recognize the power of speech. A copy book found in a pharaoh's tomb contained this advice, written 3,000 years ago, "Make thyself a craftsman in speech, for thereby thou shalt gain the upper hand. The tongue of man is his weapon, and speech is mightier than fighting." Make yourself a craftsman in speech. Three, get your good ideas into circulation. Unexpressed ideas are of no more value than kernels in a nut before it's cracked. Four, strive to be a communicator. Every time you talk to someone try to express yourself more clearly and forcefully. Lead the Field. and receive an INSTANT SAVINGS of 80% OFF the regular program price! Five, have something to say. Be sure to have something worthwhile to say each time you engage others in conversation or make a talk. Six, develop the art of conversation. There's really not a great deal of difference between speaking in private and speaking in public. The chat you have with a few friends could easily be expanded into conversation with an audience. Now the marks of a good conversation are that it's friendly, animated, respectful of the other person's point of view, and so on. Seven, learn by doing. The best way to overcome shyness is to get on your feet and talk. Number eight, speak what's on your mind every chance you get, which is related to number seven, just keep learning by doing. Nine, know your audience. Ten, prepare carefully. 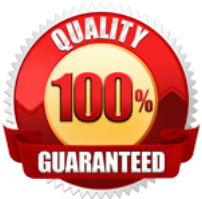 Every effective talk, whether an informal discourse to a small group or a formal speech for a big occasion with a couple of thousand people there should be carefully prepared. Eleven, pay attention to speaking skills. That is, organize a unified talk, speak clearly and concisely, and keep improving your voice. Twelve, use emphasis discreetly. A) Tell them what you're going to tell them, B) then tell them, and C) finally tell them what you told them. Thirteen, constantly increase your knowledge. Fourteen, attract; don't repel. Fifteen, cultivate self-discipline. And sixteen, above all, speak from your heart. That's the most important thing of all. Almost any audience can quickly detect whether you're speaking from your heart or not. As it says in the Gospel of Matthew, "Out of the abundance of the heart, the mouth speaks." Now in the first instance, that is if you're asked to make a speech, it means you know something others want to hear. It usually means you're an expert on some subject. If you're not an expert on the subject, don't accept the offer to make the speech. If you do accept and have before you the prospect of standing alone in front of a crowd of people, you have quite a responsibility. The person whose job demands that he or she talks before groups has an even greater responsibility. In the first case, the people came because they wanted to. In the second case, they have to listen to you whether they like it or not. But in either case you can make a good speech with a little preparation and information. The first thing to understand is that if it's your first speech, you're going to be scared. It's just natural. You may find a dull, heavy dread begin to build up within you as the fatal day begins to approach. And finally, as you're being introduced, you may come close to panic. Now this is perfectly normal and happens to just about everyone, and it doesn't end with that first speech, either! You'll find yourself trembling, particularly at the knees. Your hands will perspire, your mouth will become dry, and you'll feel as if you're in the terminal stages of some kind of tropical fever. Don't worry about it; just stand up and begin. As in the 16 rules I gave you earlier, remember rule number seven, keep learning by doing. Now about the preparation of your speech. Write it out completely. This is particularly a good idea if you've never made one before. 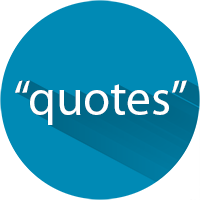 Start with an interesting statement that will capture your audience's attention and interest. State your case, give them enough corroborative facts to prove your case, summarize what you've said, and bring it to a close, and then sit down. One of the dangers of making a speech is that our voice sounds so good to us that we begin to believe that it sounds just as good to everyone else. This is not necessarily true. It's a thousand times better to quit too soon than to talk for five minutes longer than you should. Besides, you should finish with your audience still interested and wanting more. Don't talk until they're bored. And don't ever tell jokes. It's risky. What's funny to you may not be funny to others. This is one of the worst mistakes most public speakers make. Unless you're a real comedian, unless you're really a genuinely funny person, don't enter one of the most difficult fields in the world, the field of the comedian. If you can tell a humorous incident which ties in with your speech, fine. But don't ever, as long as you live, say, "This reminds me of a story," and so on. The only person worse than the person who tells jokes in his speech is the fool who tells off-color jokes. Say what you want to as best you can, become so interested in what you're talking about that you can forget yourself. In this way you'll lose your self-consciousness and make a good speech. Almost anyone can make a good speech. Just be sure you're talking on a subject you know thoroughly and in which you're deeply interested. Tell them what you know in a heartfelt and interesting manner, and then sit down. That's about all there is to it. YES, I want to LEARN how I can dramatically improve my potential and become a highly successful in terms of wealth, career achievements and happiness. 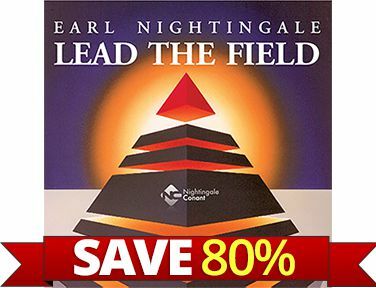 Please send me Earl Nightingale's audio program Lead the Field — including 6 Audio CDs and a Workbook on CD for just $46.95, which is 80% OFF the regular program price.